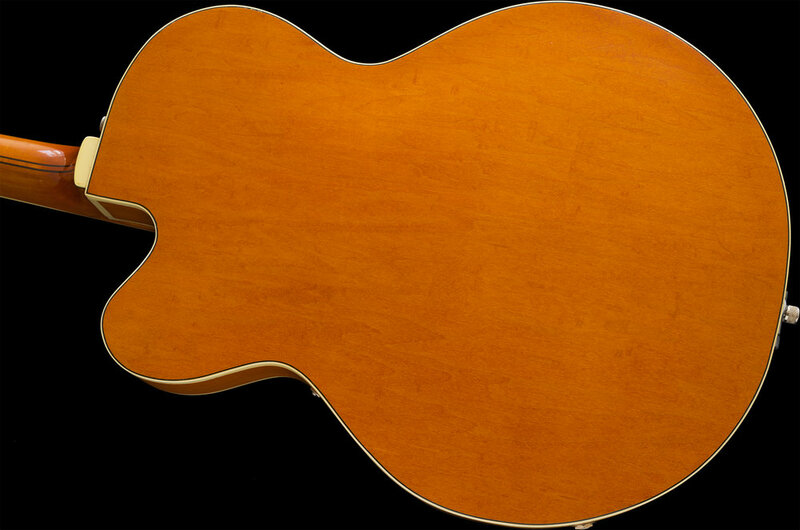 Beginning in 1954, these 15.5 inch, single cutaway 6120 guitars were offered in a color they named "AMBER RED." It started off being more Brown than Orange, and as time progressed, the colors and hues evolved. These guitars are visually quite exciting to behold, and the color is one of the features that give them instant recognizability! This model year has the Filter Tron twin head pickups, action-flo neck with a Satin ebony fingerboard and the Neo-classic inlay. The Bigsby tremolo unit is another recognizable feature, and this one looks and works very nicely. The Factory List price in 1959 was $425.00 and the matching Western-motif, 6220 model case was $58.00. I have examined, tested, serviced and set-up this instrument and found it to be factory-correct in every way. The guitar shows typical signs of age and minor usage but is in excellent cosmetic and structurally solid condition. The thinly plated gold hardware has visibly worn, but a lot of it is still intact. The electronics, frets, nut, tuners, finishes, and all of the other plastic and gold-plated metal hardware are factory original. Vintage Gretsch guitars are known to have badly deteriorated plastic body bindings; however, they are very solid and intact on this guitar. 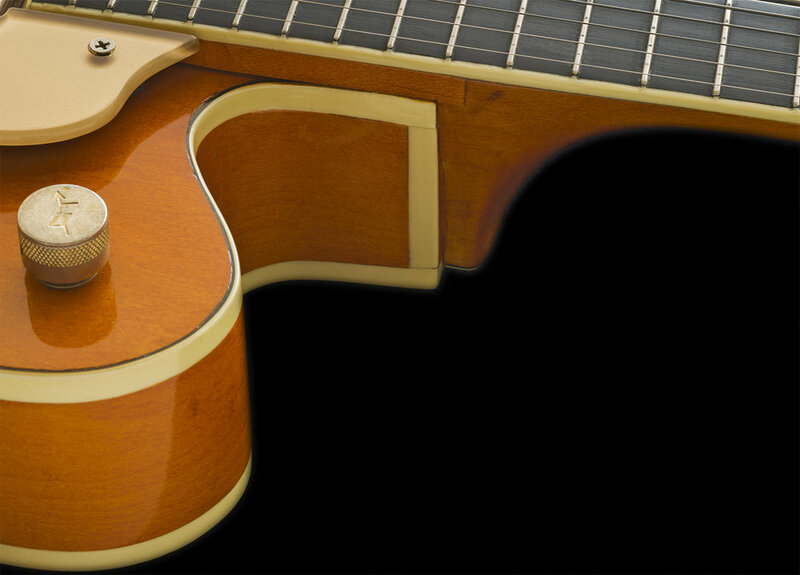 The CASE is the original and correct Chet Atkins "6220" model case for the 6120 guitars, replete with Western Motif and scuff-proof covering. 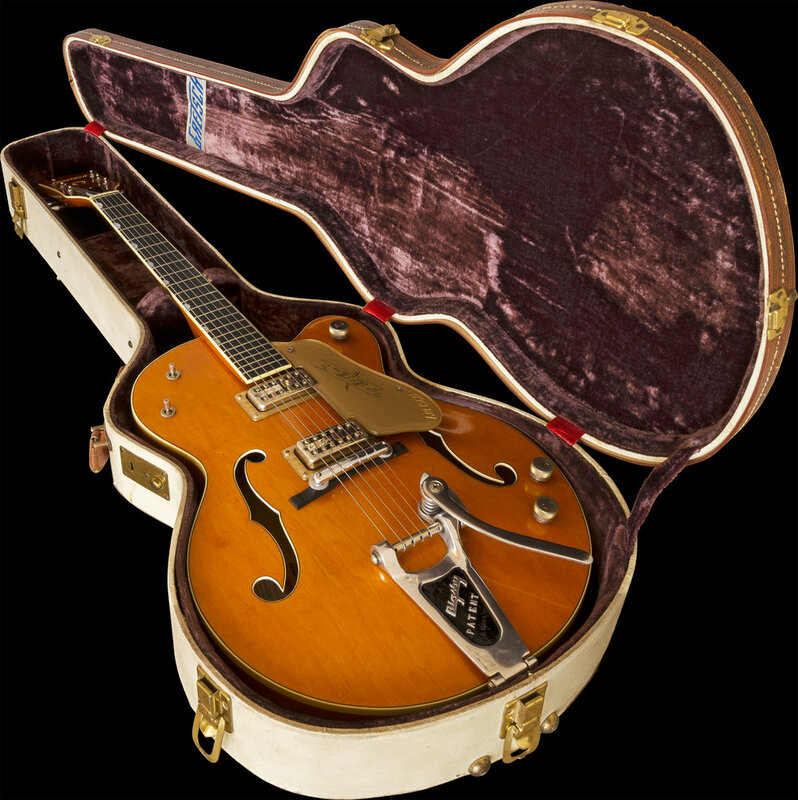 These cases have brown tooled leather and saddle-stitched edging (trim) and are considered to be some of the best-looking cases that Gretsch ever issued. The case is in EXCELLENT, matching condition with a functioning handle, latches, and hinges; please refer to the photos. The guitar has just been set up with a set of D'addario XL Chrome Flat Wound 10-48 gauge strings. This is an attractive and excellent example of Single-cutaway 6120. The guitar is now 59 years old. 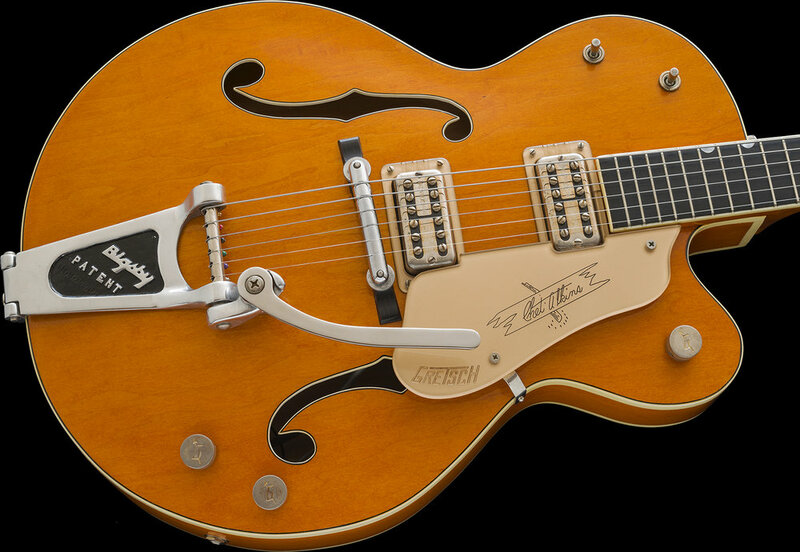 I acquired this beautiful example over 25 years ago when I began assembling a vintage Gretsch guitar collection. 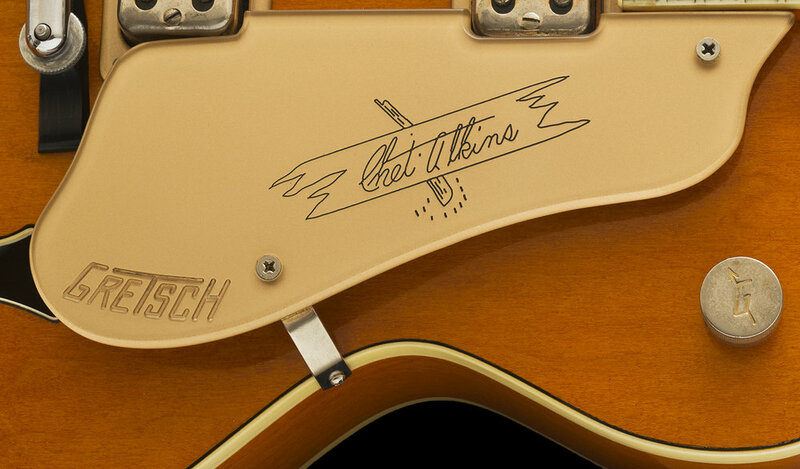 I have always loved the look and the sounds of old Gretsch guitars. During my store days, I bought and sold many 1950’s model 6120 guitars. When I encountered this particular example, I decided to hold onto it as "healthy" versions were scarce back then and more difficult to find today. This guitar has been stored for a very long time and has been spared all of the circulation that most instruments being offered online today have undergone. If you might desire an uncirculated, clean and stable example, this one may appeal to you too, so please inquire. I accept payment via Bank Wire Transfer (which garners You a 5% discount) or online payments via PayPal.